From the Dept. of Comments: This is directed at one reader. If you continue to submit multiple comments from multiple user names using the same IP address, I’ll continue to delete those comments. Be honest — choose a single name (preferably your real one) and follow the rules like everyone else. Things to read whilst transiting: ESPN offers some predictions for the 2016 NFL season, including the 49ers going to the playoffs (boo!) and the Rams using four different QBs, including RGIII. (I actually think the Rams picking up RGIII would be a smart move). But it’s prediction No. 10 that tooted my horn. The Gold Line on a test run through Arcadia on Monday. The extension to Azusa opens on March 5. Photo by Steve Hymon/Metro. 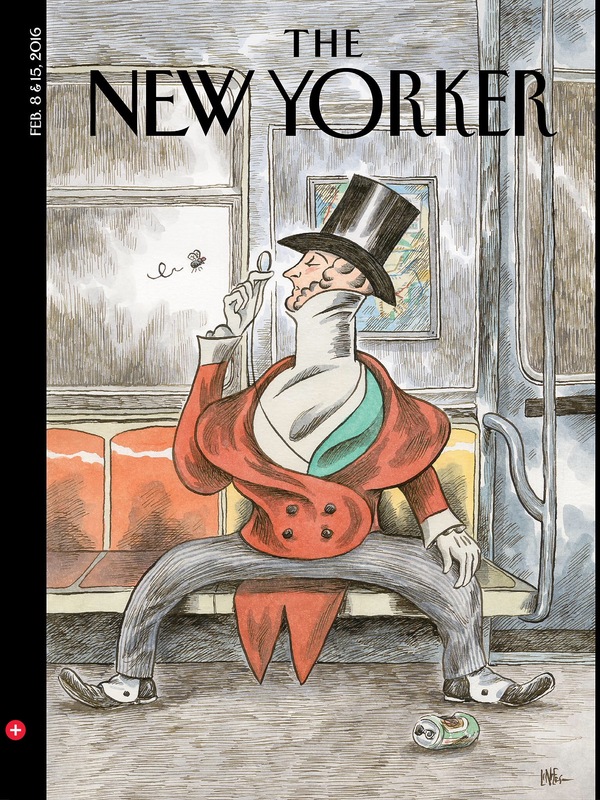 ICYMI: On the latest New Yorker cover, the magazine’s mascot is a manspreader. Tsk tsk. Here’s the full news release from Metro. The judge will decide a “remedy” for the case at a future hearing. Please see this Source post about the proposed test program. One thing to emphasize: the Metro Board still must decide whether to go forward with the fees. That is scheduled to happen in March. One interesting aside: if you look at park-and-ride lots at light rail stations across the western U.S., free parking is still mostly the norm. It’s worth noting that many light rail lines in the West are relatively new and it seems unlikely to me that free parking will last, assuming the cost of providing it and ridership goes up over the years. The one exception is for the Bay Area’s BART, which does charge fees. 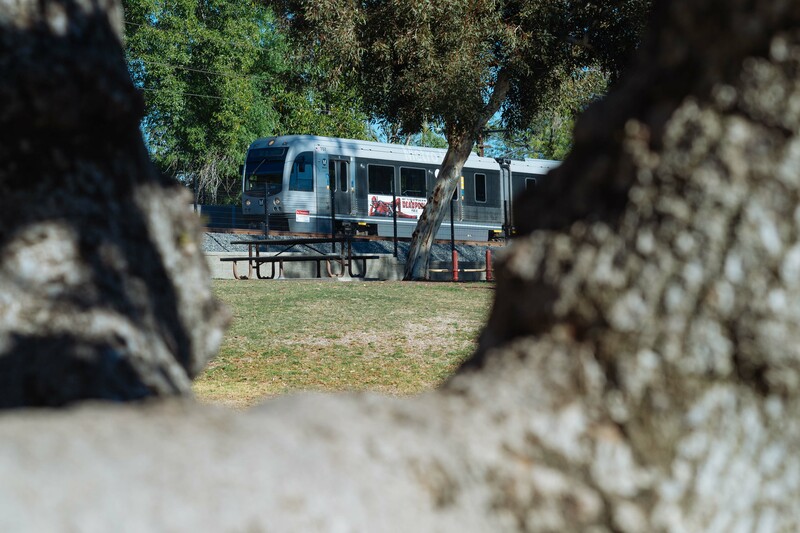 It’s an older system (and yes, it’s more similar to our subway than light rail) and has the highest rail ridership of the western states with about 455,000 average weekday boardings (that doesn’t count Muni or VTA light rail, which also operate in the Bay Area). FWIW, Metro Rail had an estimated 333,000 average weekday boardings, according to the latest numbers. In plain English: the Bay Area has the highest ridership on its rail transit system. Metro has the second-highest. So perhaps not a shocker the parking lots are busy in either metro area. Metro recently quietly closed its long-time bus yard at the corner of Rose and Main in Venice. L.A. Councilmember and Metro Board Member Mike Bonin thinks the three-acre site is perfect for affordable housing. The estimated increase in highway deaths follows years of steady, gradual declines. 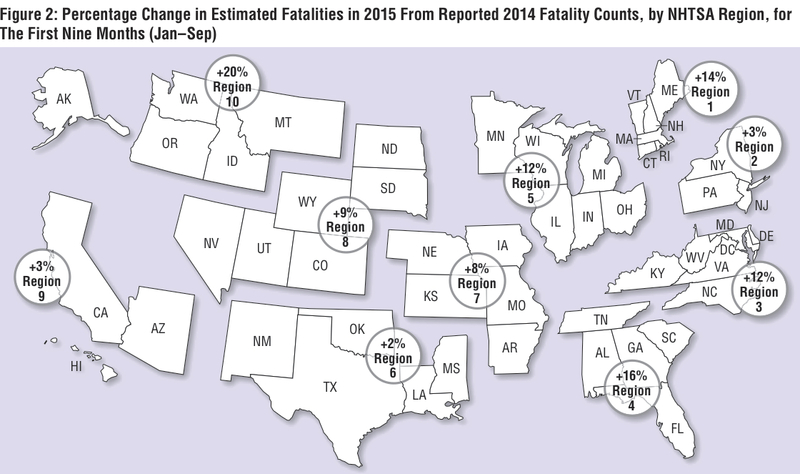 Traffic deaths declined 1.2 percent in 2014 and more than 22 percent from 2000 to 2014. After the Great Recession, there were a lot of stories about the sea change concerning Americans and driving — our mileage was down, deaths were down, teens were waiting to get licenses, etc. The fewer-teens-driving still seems to be true but mileage is up and safety is down — and I see no real reason to think our nation’s love affair with the car has fundamentally changed. Feb. 3: will bus-only lanes rise again? Feb. 2: the hills are alive with more talk about transit ridership. Bonin expects Metro to just give away the land in Venice so affordable housing can be built? That is not fair to Metro or the public transit community. We are talking a parcel of land with more than $30M in value, which is the equivalent of Metro’s parking pilot program proceeds for 50 years. I couldn’t agree with you more, ABSOLUTELY NO LAND GIVE AWAY. If they want the property, let someone pay full market value for the property. Even better, let METRO develop the property themselves or with a partner and retain the profits. It isn’t fair to the taxpayers in Los Angeles County to give this property away. METRO should be required, by law, to either sell unused property at FULL MARKET VALUE or develop/repurpose ANY unused property. Metro’s goal is to have 20% of the county use transit. If we say only 10% of the 10 mil population get into transit or 1 million folks.. And since we know 75% of LA commuters drive to work alone…that means 750,000 using daily. Then why does Metro construct a light rail line through west la into Santa Monica and not provide adequate parking? The goal is to build successful light rail in a sprawling metropolitan area. A key component is park and ride. Your park and ride infrastructure should be 4 to 5 times its size like Calgary, Canada. These are your future customers and they will never come to use transit simply because there will be no place to park their cars. You are creating barriers to your customers of tomorrow.